The RAM-VB-SL24 is a 24in support arm for the RAM No Drill laptop mounts. Included U-Bolt attaches to the base post of the RAM Mount and the bottom can be installed in the floor or hump to add rigidity to the mount. 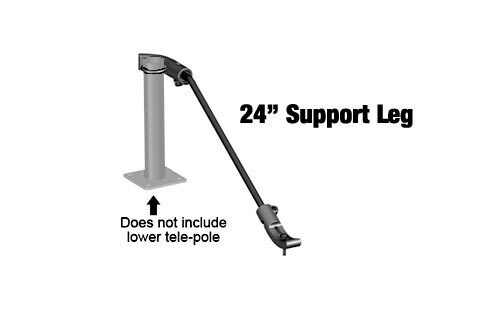 The support arm is bendable and can be trimmed down to accommodate your installation needs.